Thanks ever so much to the lovely Caroline of The ex-sugarholic for passing the One Lovely Blog Award on to me. As always, I am very honoured! Caroline is very fresh into the world of blogging so be sure to welcome her and check out her Chocolate peanut butter spread and Chocolate sorbet with pistachios (of course, the chocolate recipes stood out for me!). Link the post to their page. State 7 random facts about yourself. Nominate those that you feel are deserving of this award. My all time favourite TV show is Friends. I am the youngest of my same parent siblings with a younger half sister. I can’t sleep without my cats. When I was a teenager, I pierced my own nose and ears with a needle! I have recently discovered I’m not a fan of Jerusalem Artichokes (the first vegetable I have felt this way about!). I love making ‘pesto’ out of anything. 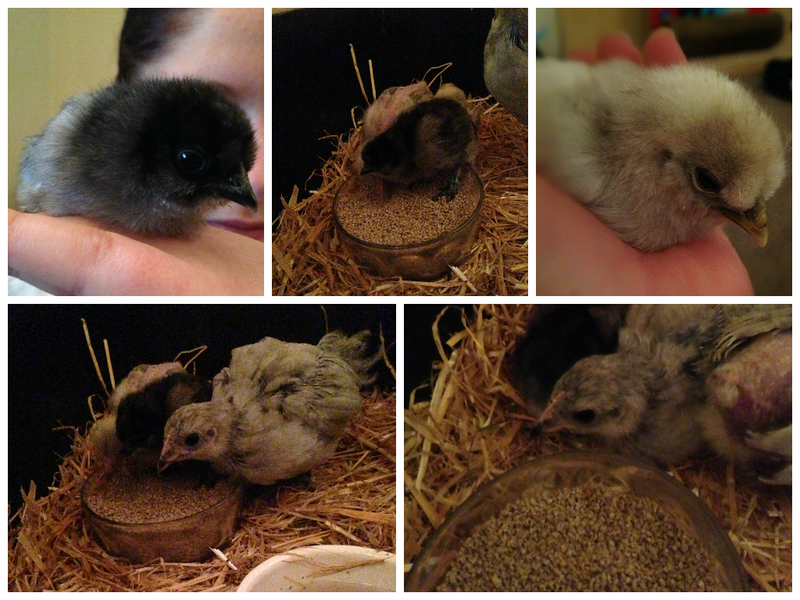 I am a new mum to four baby chicks. A Vegan in the Weeds. This entry was posted in Animals, Awards, vegan, Vegetarian and tagged animals, baking, blog awards, vegan, vegetarian. Bookmark the permalink. Congratulations! Those baby chicks are adorable too! Thank you! I know I love them so much 🙂 they just chirp chirp chirp all day! You’re so welcome Laura! And thank you for your congrats and lovely compliments! A COMPASS?!! Really?! You crazy chick!! I’m actually glad you didn’t succeed for your own health! I pierced two holes in each ear lobe, nose and upper ear pinna! I did burn the needle to sterilize it! Afterwards all my friends were asking me to pierce them – I did one friend’s nose – as far as I know her nose didn’t fall off! I could never do it now though – it’s funny how fearless you can be as a teen! Big congratulations for the Award! And my goodness, how cute are those baby chicks. I have seen seven baby swans and their parents the other day making their way through Berlin’s water ways – I just adore little fluffy birds. Thank you so much! What a lovely sight to have seen the baby swans and their parents – how beautiful! So kind – thank you!